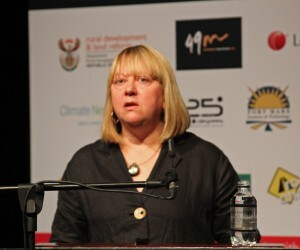 Climate change is no longer conjecture, but a measureable reality and South Africa, along with other developing countries, is especially vulnerable to its impacts. At a business level, the current attitude that resources are infinite; needs to be urgently addressed and reversed before irreparable damage is done, both locally and globally. 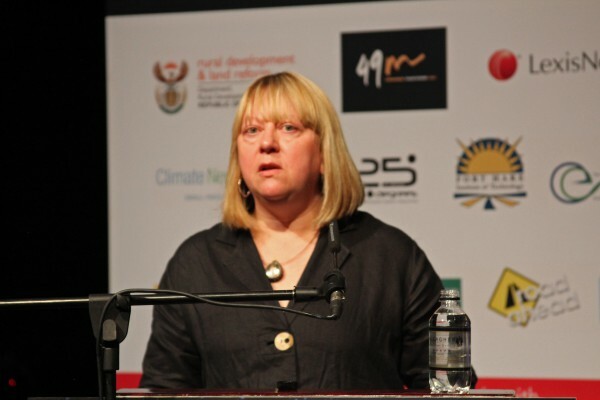 This is according to Alta Walker, Research and Development Specialist at PPC Cement, who was speaking at the Clean Business International Conference at Gallagher Convention Centre in Midrand last week. She says that current unsustainable resource consumption patterns must be addressed to slow down, stop or even reverse the negative impact on the environment. Walker refers to nine critical “planetary systems” that were proposed by a group of scientists at the Stockholm Resilience Centre in 2009, as vital for human survival. Three of the nine system boundaries have already exceeded its safe operating limits, namely climate change, biodiversity and the nitrogen cycle. She adds that the phosphorus cycle, use of fresh water and land, and ocean acidification, are also edging towards the tipping points. “Businesses and consumers are overstepping the sustainable level of consumption. The current environmental debate highlights many priority issues, with energy and mobility as focus areas in the climate change discussions. There are also growing concerns about biodiversity, focusing on the impacts of agricultural practices and urban development. “Currently, buildings account for 40% of global energy use, 38% of Green House Gas (GHG) emissions, 40% of solid waste streams in developed countries, 12% of potable water use and more than 33% of the global material flow, which accounts more than three billion tons annually. There is, however, the potential to reduce the energy consumption by up to 50%, GHG emissions by 35%, waste by 70% and reduce water use by nearly half. “Further efficiencies are possible with the improved performance of the cement used in producing concrete. There has been an effective reduction of 15% in the carbon footprint of concrete, using PPC’s products.” The products have been improved to give better strength development, yielding 15% more concrete using the same amount of cement, by adding more stone (aggregate) and sand. Concrete is also durable as a house built with it can last over 100 years. “The secret to a sustainable building rests in good design, effective use of building materials, efficient construction methods and good management practices. Sustainability depends on balancing the conditions for maintaining an acceptable life standard for all people with the capacity of the environment to fulfill the needs of the present and the future,” concludes Walker.